nstead, new devices will start coming with Wi-Fi 6 by default. As you replace your phone, laptop, and game consoles over the next five years, you’ll bring home new ones that include the latest version of Wi-Fi. Syncing and backing up files are often used as interchangeable solutions for protecting data, but there are critical differentiators between the two options, especially when it comes to data restoration, that all business owners should understand. Let’s explore the differences between syncing and backing up data. Backup refers to copying data from one location to another. For example, duplicating information from your laptop to an external hard drive, the cloud, another computer or a flash drive. Backing up files tends to be the most traditional and reliable way a business can both protect their digital assets and ensure business continuity. Backup is also useful for anyone who stores copious amounts of videos. Syncing often works with public cloud-based services, which have storage limits. To save space, most people opt to store videos locally, then back them up for security. These services allow data to be stored in an approved data repository, then accessed remotely by anyone with permission via PCs, laptops, tablets or smartphones. While syncing can be an incredibly powerful option for accessing and collaborating on work, it’s often most effective with an additional backup system in place. This is true for a number of reasons, the first being that synced files can easily be misplaced as syncing directories between machines can get confusing. And even when you pay the premium to help improve search power, like selective syncing products, the setup can be overly technical. Secondly, syncing to one of these programs doesn’t make your content immune from ransomware attacks. For example, if you get ransomware on your local laptop then connect to a cloud data sync like OneDrive, not only will the malware encrypt the data on your laptop, it can also sync to the cloud, infect the cloud, and therefore put your synced data at risk. In the event of data loss or a ransomware attack, restoration of the data, site structure, and permissions can be a long, and sometimes manual process — unless your data has been backed up. When it comes to recovering data, there are marked differences between sync and share services and backup recovery. When it comes to sync and share, most often you can only recover data over the internet. 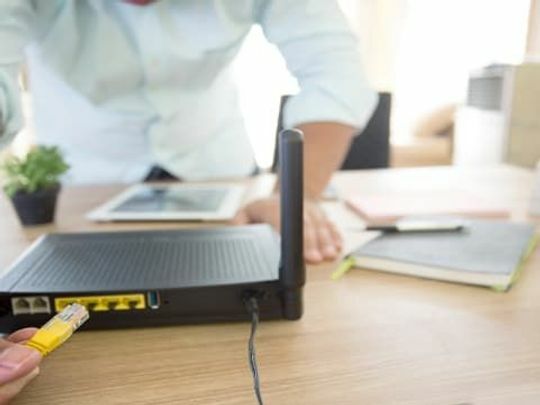 That means if you need access to several gigabytes of data, not only can the process be time-consuming, but it’s also not a reliable method of recovery, as there may be errors if the internet connectivity drops or files fail to transfer. Additionally, if you’re on the hook to pay for storage or egress of the data, recovering information can be expensive with public cloud or sync and share services. While syncing and backup strategies can work well in unison, a backup solution will always reign supreme. From drive failures to malicious attacks on your information, you can never be too careful. And, without backing up your critical data, it may be impossible to access or recover your information in the event of accidental or malicious activity that impacts your organization. Final takeaway: Whatever your plan is, for business continuity’s sake, make sure you act now. Without a plan in place, your data is at risk. The annual industry conferences. A time to soak it all in. The educational sessions, the community camaraderie, the inspiring keynote speeches. The coliseum of tech vendors where rows of system demos and sales people seem to be endless. Let the vicious cycle begin…tech window shopping followed by foggy uncertainty. By the time attendees get home, they are often more confused then when they arrived. The bling of the event wears off and the real questions bubble to the surface. This is the beginning of Technology Stage Fright. How can firms stop the cycle of tech stage fright? New technology WILL impact your business! Business Growth & Your Team: Staff will have less capacity to service business growth as they convert or implement technology. Tech projects can be tough. Prepare your teams, assess their workloads and adjust accordingly. Remember – the goal will bring value in the long term. Internal Processes: New tech often upsets current processes. Be flexible and consider updating your internal processes to match your tech & integrations. You might be surprised by the efficiencies you uncover! Conversion, Implementation & Training takes time! Timeline: Create a timeline that accounts for hiccups & real-life implementation hurdles. Consider the different roles & users that will be using the new tech and map out realistic expectations for staff to learn & adapt. Usage vs. Adoption: Remember tech usage IS NOT tech adoption. The goal is adoption – baking your firm’s repeatable processes into your tech & integration landscape. Prioritize: Identify & track your milestones, goals, pain points, needs & wants. Use the industry as your resource. Ask vendors for referrals, reach out to Custodians or colleagues and ask about their research & experiences. Just days after informing residents that its computer systems were severely crippled by a ransomware attack, the government of Jackson County, Georgia, paid hackers $400,000 to regain access to its files. The payment, one of the largest recent sums to pay off a ransomware scheme, was first reported by the Athens Banner-Herald. County officials said last week that a ransomware attack locked agencies out of nearly all their systems, forcing many, including the sheriff’s office, to resort to carrying out operations on paper. “We are doing our bookings the way we used to do it before computers,” Sheriff Janis Mangum told StateScoop. The Banner-Herald reported that County Manager Kevin Poe made the decision to pay the ransom after speaking with cybersecurity consultants, who advised him that rebuilding networks from scratch — as other ransomware victims, like Atlanta, have done — could be a long and costly process for the 60,000-person county. After paying, the hackers sent a decryption key that allowed county workers back into their computer systems. The county is also working with the FBI, which tells ransomware victims not to pay up. Poe also said the ransomware that took down Jackson County’s systems has been identified as the Ryuk virus, which demands far higher payments than other strains. Research published last month by McAfee and Coveware found that the hackers behind Ryuk typically ask for 100 bitcoin — equal to about $384,000 as of this writing. Ryuk is now believed to have originated in Eastern Europe or Russia, contradicting earlier reports of origin in North Korea. 2018 saw some of the biggest data breaches yet, with Marriott, Under Armour and Facebook suffering breaches that affected 500 million, 150 million and 100 million people respectively. It was also the year of the GDPR (General Data Protection Regulation), which changed the way organisations handle customers’ personal data and introduced hefty fines for non-compliance. However, the Regulation didn’t seem to reduce the number of data breaches: there were approximately 2.3 billion last year, compared to 826 million in 2017. Click here to view the ‘List of data breaches and cyber attacks’ blog posts and an infographic to sum up the reported data breaches of 2018. After years of admonishing financial institutions and public companies to take cybersecurity more seriously, the U.S. Securities and Exchange Commission (SEC) appears ready to back up its words with investigations and penalties. Starting with Jay Clayton’s confirmation as SEC Chair in 2017, the agency has enhanced its efforts to protect investors and markets from increasingly dangerous and costly cyber threats. Indeed, the SEC’s conduct over the past two years—including creating a dedicated Cyber Unit in its Enforcement Division and by bringing several first-of-their-kind cybersecurity enforcement actions—foretell that the agency is prepared to take an even more aggressive approach in addressing cybersecurity issues among the entities it supervises. As a result, firms that have yet to dedicate sustained attention to their cyber threats and risks may find that the SEC is far more willing to use a stick rather than a carrot to obtain compliance. See SEC SERVING THE BENCH AND BAR SINCE 1888 Volume 261—NO. 38 Wednesday, February 27, 2019 Outside Counsel Joseph Facciponti and Katherine McGrail are partners at Murphy & McGonigle, P.C., a financial services law firm. Mr. Facciponti is a former cybercrime prosecutor at the U.S. Attorney’s Office for the Southern District of New York. Ms. McGrail counsels financial institutions on compliance with industry regulations and serves as the firm’s chief diversity and inclusion officer. www. NYLJ.com By Joseph Facciponti And Katherine McGrail Will 2019 Be the Year of Blockbuster Cybersecurity Enforcement by the SEC? Annual Report, Division of Enforcement (Nov. 2, 2018). In several cases, the enforcement actions were firstof-their-kind, as discussed below. The SEC’s focus on cybersecurity also appears to be driven by its own experience with cybersecurity issues. The same month that the SEC announced the creation of its Cyber Unit, the SEC announced that it, too, has experienced data breaches. 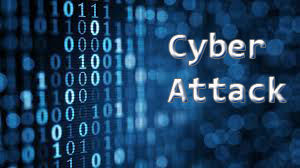 In an extended Statement on Cybersecurity that likely is also intended to serve as a model for public companies in discussing their own material cybersecurity risks and incidents, Clayton announced a number of cybersecurity risks and data incidents effecting the SEC, the most significant of which involved hackers gaining access to the SEC’s EDGAR filing database in 2016 to steal unreleased corporate filings that potentially contained material nonpublic information. See SEC Public Statement, Statement on Cybersecurity (Sept. 20, 2017). Cyber Disclosure Guidance. One of the centerpieces of the SEC’s enhanced cybersecurity strategy is in encouraging public companies and issuers to be transparent with the investing public about their material cyber risks and incidents. In September 2017, Clayton said that he is “not comfortable that the American investing public understands the substantial risks that we face systemically for cyber issues, and I’d like to see better disclosure around that.” C. Germaine, Clayton Says No Shift in Enforcement Priorities at SEC, Law360 (Sept. 6, 2017). Perhaps exemplifying the SEC’s concerns, that same month, credit reporting agency Equifax disclosed that an unknown attacker had stolen personally identifiable information of approximately 145 million consumers. K. Coen, Populist Pitchforks Come Out: Insider Trading and Equifax, Law360 (Nov. 6, 2017). Equifax faced immediate public criticism over the timeliness and adequacy of its disclosure, which came approximately six weeks after it discovered the breach. Further, questions were raised about potential insider trading by four Equifax executives, including the Chief Financial Officer, all of whom collectively sold $1.8 million of Equifax shares between the time the breach was discovered and when it was disclosed to the public. Id. An internal review ultimately cleared those executives of any wrongdoing. In February 2018, and consistent with the SEC’s focus on disclosure— and perhaps in response to the Equifax breach—the SEC published revised guidance regarding public company disclosures about material cyber risks and incidents (2018 Guidance). See SEC Release Nos. 33-10459 & 34-82746, Commission Statement and Guidance on Public Company Cybersecurity Disclosures (Feb. 26, 2018). The 2018 Guidance consolidated and built upon the SEC’s prior guidance on disclosure obligations relating to cybersecurity, particularly the Division of Corporation Finance’s guidance from 2011. Among other things, the 2018 Guidance addresses topics such as: (1) the criteria for determining whether a cyber risk or incident is “material”; (2) how promptly companies must disclose material cyber incidents; (3) the level of specificity required when disclosing material cyber risks; and (4) the need to adopt policies and procedures to prevent insider trading on as-yet undisclosed cyber incidents. Disclosure-Related Enforcement Actions. At the time the 2018 Guidance was released, it was still unclear whether the SEC would bring an enforcement action against an issuer that failed to disclose material cyber risks or incidents to the investing public. Previously, Stephanie Avakian said that she could “absolutely” envision a situation in which the SEC would bring an enforcement action for inadequate cyber disclosures. J. Hoover, SEC Suits Over Cyber Reporting Could Be on the Horizon, Law360 (April 20, 2017). That uncertainty was resolved in April 2018, when the SEC announced its first-ever enforcement action against a public company for failing to disclose a breach. The enforcement action involved Yahoo, which the SEC alleged had misled shareholders by not disclosing in its public filings for nearly two years a data breach that affected hundreds of millions of its internet email subscribers. See SEC Press Release 2018-71, Altaba, Formerly Known as Yahoo!, Charged with Failing to Disclose Massive Cybersecurity Breach; Agrees to Pay $35 Million (April 24, 2018). The Yahoo breach only came to light as a result of merger discussions with Verizon, which sought to purchase the company. According to the SEC, Yahoo’s senior management and legal staff allegedly “did not properly assess the scope, business Wednesday, February 27, 2019 Firms that have yet to dedicate sustained attention to their cyber threats and risks may find that the SEC is far more willing to use a stick rather than a carrot to obtain compliance. impact, or legal implications of the breach, including how and where the breach should have been disclosed in [its] public filings or whether the breach rendered, or would render, any statements made by [it] in its public filings misleading.” The SEC further noted that the company’s disclosures in its public filings were misleading to the extent they omitted known trends or uncertainties presented by the data breach. In addition, the SEC alleged the risk factor disclosures in the company’s public filings were misleading in that they claimed the company only faced the risk of potential future data breaches without disclosing that a data breach had in fact already occurred. The SEC noted that while immediate disclosure (such as in a Form 8-K) is not always necessary in the event of a data breach, the breach should have been disclosed in the company’s regular periodic reports. The company ultimately agreed to pay a $35 million fine. In the case of Yahoo, the failure to disclose the breach had a clear effect on the company’s shareholders, who saw Verizon reduce its purchase price for Yahoo by $350 million after the breach was disclosed. 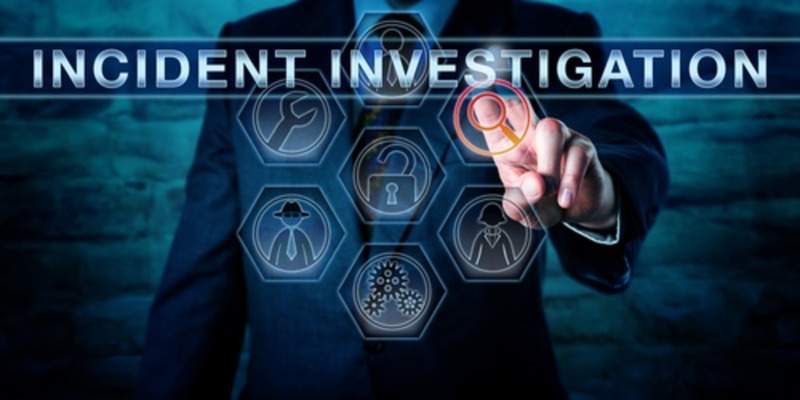 In announcing the Yahoo enforcement action, Steven Peikin, co-director of Enforcement, observed that “[w]e do not second-guess good faith exercises of judgment about cyber-incident disclosure. But we have also cautioned that a company’s response to such an event could be so lacking that an enforcement action would be warranted. This is clearly such a case.” Id. It remains to be seen whether the SEC will take any actions with respect to Equifax for its six-week delay in disclosure of its 2017 breach. DANIEL CROWLEY HAS a long list of software platforms, computers, and internet-of-things devices that he suspects he could hack. As research director of IBM’s offensive security group X-Force Red, Crowley's job is to follow his intuition about where digital security risks and threats may be lurking and expose them so they can be fixed. But so many types of computing devices are vulnerable in so many ways, he can’t chase down every lead himself. So he does what any self-respecting research director would do: He hires interns, two of whom have found a slew of bugs in software platforms that offices rely on every day. On Monday, IBM is publishing findings on vulnerabilities in five “visitor management systems,” the digital sign-in portals that often greet you at businesses and facilities. Companies buy visitor management software packs and set them up on PCs or mobile devices like tablets. But X-Force interns Hannah Robbins and Scott Brink found flaws—now mostly patched—in all five mainstream systems they looked at from the visitor management companies Jolly Technologies, HID Global, Threshold Security, Envoy, and The Receptionist. If you had signed in on one of these systems, an attacker could've potentially nabbed your data or impersonated you in the system. The systems X-Force Red analyzed don’t integrate directly with systems that print access badges, which would have been an even greater security concern. Still, the researchers found vulnerabilities that endangered sensitive data and created security exposures. The very nature of visitor management systems is partly to blame. Unlike the remote access attacks most organizations anticipate and attempt to block, a hacker could easily approach a visitor management system with a tool like a USB stick set up to automatically exfiltrate data or install remote-access malware. Even without an accessible USB port, attackers could use other techniques, like Windows keyboard shortcuts, to quickly gain control. And while faster is always better for an attack, it would be relatively easy to stand at a sign-in kiosk for a few minutes without attracting any suspicion. Among the mobile products the researchers looked at, The Receptionist had a bug that could potentially expose users’ contact data to an attacker. Envoy Passport exposed system access tokens that could be used to both read data and write, or input, data. "IBM X-Force Red discovered two vulnerabilities, but customer and visitor data was never at risk," Envoy wrote in a statement. "Worst case, these issues could cause inaccurate data to be added to the systems we use to monitor how our software is performing." The Receptionist did not provide comment by deadline. Among the PC software packs, EasyLobby Solo by HID Global had access issues that could allow an attacker to take control of the system and potentially steal Social Security numbers. And eVisitorPass by Threshold Security had similar access issues and guessable default administrator credentials. Please join Contextual Security and True North Networks, leaders in compliance and security services, for an upcoming seminar, that will focus on the most commonly used attack vectors deployed externally and internally by Contextual’s assessment team. Relevant examples will include: host-based attacks, network exploits, password attacks, and phishing examples. The presentation will include time for questions from attendees and will provide real-world attack planning and execution strategy from the perspective of a penetration tester. Slade Griffin is the Director of Critical Infrastructure Security at Contextual Security Solutions where he leads the cybersecurity services practice. A very dynamic presenter often speaking at security conferences, he has over 14 years of experience in the security industry specializing in assessments, forensic analysis, and incident response. The three leading insurance and agent associations are working in tandem to support a state “standard of care” proposal for agents that rejects fiduciary responsibility for agents and advisors. At stake, they say: middle-class investors. The NAIC’s draft model—years in the making and still a proposal—would require an agent to act with reasonable diligence, care, skill and prudence on behalf of clients and to disclose conflicts of interest as well as cash and non-cash compensation. The proposal relies heavily on a consumers’ ability to decipher myriad legal disclosures. “We support rules requiring all financial professionals, when making a recommendation, to act in the consumer’s best interest—with care, skill, prudence, and diligence—based on the consumer’s financial needs and objectives. 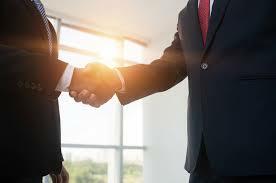 Financial professionals also support requirements to avoid or reasonably manage conflicts of interest through increased transparency,” the three insurance associations said in their joint statement. Industry groups have much at stake when it comes to controlling variable annuities regulation. Total annuity sales hit $59.5 billion for the second quarter of 2018, after the insurance and securities lobbies successfully overturned the Department of Labor’s fiduciary rule in court, according to the Limra Secure Retirement Institute. Sales had not been as high since early 2015, just before the DOL rule was being put in place. “Experience with the Department of Labor’s now appropriately vacated investment advice fiduciary regulation showed that when faced with a fiduciary standard, many financial firms moved to a fee-for-service-only model, eliminating choice and access for small and moderate balance savers and typical buy-and-hold investors who rely on commission-based advice for their retirement needs,” the groups said in their joint statement. “As a product that is designed as a long-term retirement solution, most annuities are sold on a commission basis. According to a LIMRA survey, if the Labor Department’s fiduciary regulation had remained in-force, 54 percent of advisors might have dropped or turned away small investors, resulting in as many as four million middle-class households losing access to information they need to ensure a secure retirement,” the group continued. According to the latest available data, the median annual household income of annuity owners is $64,000. Eighty percent have total annual incomes below $100,000 and 35 percent have household incomes less than $50,000. Will the NAIC’s proposed model be eclipsed by initiatives in states such as Maryland, which has introduced legislation that would apply a fiduciary standard to all agents and brokers? If successful, such a state standard could force VA issuers and agents to eliminate commissions altogether and sell only no-load variable annuities or at least more standardized, low-load products. Even without the NAIC model—which would need to be approved by all 50 state legislatures—the domino effect of individual state fiduciary bills, as well as Securities and Exchange Commission and Finra initiatives, are sure to add a sober note to insurer and agent practices nationwide. Federal regulators are using enforcement, tougher proposals and investor alerts to crack down on high-commission variable annuity sales, including “replacement” sales that generate high commissions and replacement penalty fees. The insurance industry is battling back. In a self-published op-ed published on Medium.com, ACLI President and CEO Susan K. Neely came out swinging against the Maryland fiduciary standard for brokers and agents. “The problem comes with the fact that the bill in Maryland would make every financial professional who sells an annuity a 'fiduciary' of the customer. This would end commission-based sales because fiduciaries are generally not allowed to represent both the buyer and seller in the same transaction,” Neely said. "If financial firms are forced to move to a model where the only way a consumer can get financial advice is if that consumer pays a fee to a financial professional year after year out of their own pocket, then lower- and middle-income consumers—everyday Americans—are far less likely to be able to consider all their options for their own retirement needs. It’s also unfair to consumers who don’t want a fee-based arrangement where the annual charges can become costly over time,” she added. Microsoft is readying more new Dynamics 365 applications which officials are touting as AI and mixed-reality-infused. At the "Microsoft Business Forward" conference in Paris on February 21, company officials outlined plans for several new business applications that are in the pipeline. Microsoft already has been building up its portfolio of Dynamics 365 AI and mixed-reality applications. The next wave of these kinds of applications will coincide with the April 2019 release of Dynamics 365, which Microsoft will be rolling out to customers from April to September 2019. On the coming-soon Dynamics 365 app list: Dynamics 365 Remote Assist for mobile devices. Microsoft has been touting its Remote Assist application for the HoloLens for a while now. Coming in a preview for Android first, Remote Assist for Mobile will allow users to work with an Android mobile device in conjunction with the HoloLens (or not) to collaborate remotely and troubleshoot issues. This app will be integrated with Dynamics 365 for Field Service. I asked Microsoft if/when there would be a Dynamics 365 Remote Assist app for iOS devices and was told by a spokesperson that Microsoft would evaluate this based on customer feedback. Dynamics 365 Product Visualize. Microsoft officials foreshadowed plans for this application last year at Build. Coming first to iOS devices in preview form, the Product Visualize app is meant to help sellers showcase and customize products in their actual environments in industries like manufacturing, healthcare and automotive. This app will be integrated with Dynamics 365 for Sales and Microsoft Teams. I asked officials when and if Product Visualize would also be available for Android devices and was told by a spokesperson that Microsoft would evaluate this based on customer feedback. Dynamics 365 Virtual Agent for Customer Service. This is a new cloud service for creating custom virtual assistants. The public preview of the Virtual Agent is slated to hit in April. At CES this year, Microsoft officials talked up a Microsoft solution accelerator -- a collection of templates and best practices -- designed to help users build their own custom virtual agents based on Microsoft's technology. Dynamics 365 Fraud Protection. Fraud Protection is another new cloud service for e-commerce merchants, which is meant to help cut back on fraud loss; increase bank acceptance rates; and improve customers' online shopping experience. A public preview is coming in April 2019. Dynamics 365 Customer Insights. This is another Dynamics 365 app designed to provide customer information. It's different from the previously announced Dynamics 365 AI for Customer Service Insights and Dynamics 365 AI for Market Insights. It's more focused on helping users retain customers and build loyalty through insights from their data. Last year, Microsoft officially designated Remote Assist and Layout, two HoloLens applications developed by Microsoft for business users, part of its Dynamics 365 October release. Officials also said Microsoft was building two other new augmented/mixed reality apps for HoloLens: One for Training and Dev and another for product-focused collaboration, during its Build 2018 developer conference. The Product Visualize app is the latter; the training and dev app has yet to be unveiled. Phishing attacks, unpatched systems, and unauthorized cloud applications are creating unrelenting risk for enterprise security teams. Automation of threat monitoring and patching of software vulnerabilities is often the best way—and increasingly the onlyeffective way—to tackle those challenges. That’s one of the key conclusions from a research project jointly conducted by Oracle and KPMG. The Oracle and KPMG Cloud Threat Report 2019, released in February, examines many threats facing organizations. The data comes from 450 cybersecurity and IT professionals from private- and public-sector organizations in the United States, Canada, United Kingdom, Australia, and Singapore. • 23% of respondents say their organizations don’t have the resources to manually patch all their systems. This calls out the need for automation in rolling out patches. • 50% say that use of unsanctioned cloud applications resulted in unauthorized access to data; 48% say that unauthorized access introduced malware, and 47% say that data was lost. This points to the need to set policies to limit the use of unapproved cloud applications—and perhaps to introduce technology to automatically detect or block such uses. • 92% are concerned that individuals, departments, or lines of business within the organization are violating security policies when it comes to the use of cloud applications. This may mean using unsanctioned cloud applications, or in using sanctioned cloud applications in a way that’s not sanctioned. • 69% of organizations stated that they are aware of a moderate or significant amount of unapproved cloud applications, with another 15% stating they are aware of a few such apps in use. The appeal of cloud applications is tremendous, and employees aren’t going to let security policies or approval processes slow their adoption of them. The big picture conclusion: It’s more important than ever that businesses use automation tools, in addition to human security analysts, to protect the business. The study also showed that it’s essential for CISOs to become more aware of the uses of cloud computing within their organizations, and that all parties in the business—including IT teams—need a better understanding of the shared security model for cloud computing. The single most common cyberattack vector: Phishing emails, either generic ones that flooded employees’ inboxes, or personally targeted “spearphishing” messages aimed at, say, a CFO or IT technician. In the Oracle-KPMG study, 27% of organizations were attacked with email phishing with malicious attachments or links in the past year. The next most common attack vectors: malware that moved laterally through the organization and infected a server (cited by 23% of respondents); misuse of privileged accounts by an employee (19%); and “zero day” exploits that exploited previously unknown vulnerabilities in operating systems or applications (18%). 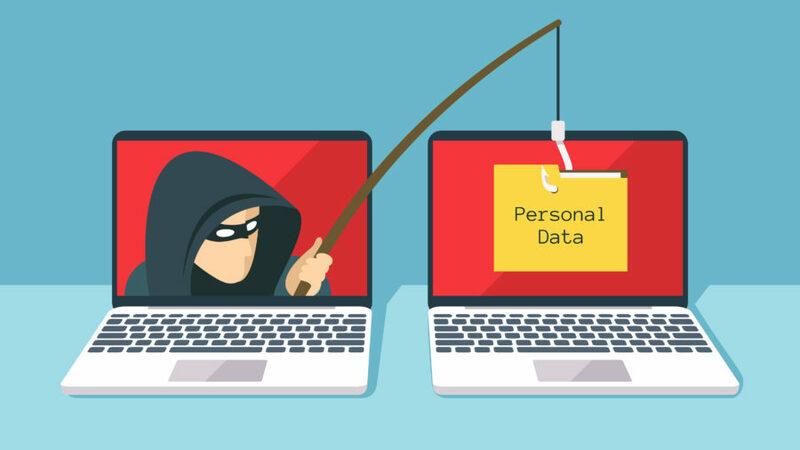 When employees open a phishing email and click on a link, or open an attachment, many bad things can happen, but one of the nastiest is when the hacker installs malware or sends the employee to a faked-up web page to steal login credentials. 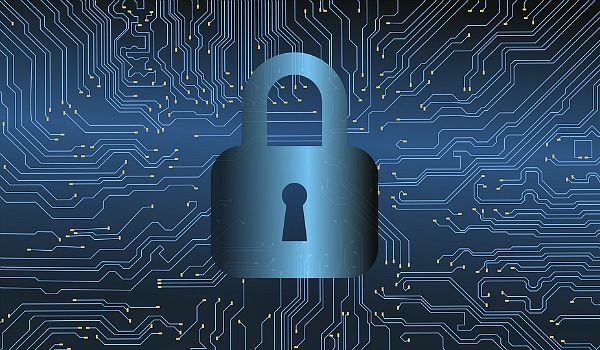 “Email is the number-one attack vector,” says Greg Jensen, senior director of cloud security at Oracle and coauthor of the Oracle and KPMG Cloud Threat Report 2019. “Employees have these human tendencies where they are drawn to look at an email, like moths to a flame, if it says ‘important’ or if it appears to originate from a known executive, I'm going to click it.” Or if it appears to be formatted to be from a trusted partner with a request to provide information. As the report explains, these techniques, and other more sophisticated phishing attacks, can let the attacker gain access to cloud infrastructure services, or software-as-a-service. For example, perhaps the phished employee is a software developer, cloud administrator, or application release engineer. Armed with that employee’s credentials, “hackers can access cloud infrastructure management consoles, provision new services such as compute instances, and begin to move laterally across the affected company’s cloud infrastructure,” the report says. The best way to stop phishing is to prevent the malicious message from getting to the recipient. Security software can help in this regard, such as by using advanced email security solutions that use artificial intelligence and machine learning to inspect email content—including addresses, message text, links, and attachments—to detect malware, links to malicious web sites, and business email compromises. So can machine-learning powered monitoring software that looks for out-of-the-ordinary behavior. If your US-based CFO logs onto your procurement system from the Ukraine in the middle of the night, your system can flag that as an anomaly that might point to a stolen credential. In an organization’s data center, the IT and security teams are responsible for all aspects of security. In the cloud, however, there’s a shared responsibility security model (SRSM) that includes both the cloud service provider and the enterprise customer. Unfortunately, sometimes business units that implement cloud applications and infrastructure aren’t aware that the enterprise shares responsibility for securing those cloud applications, such as vetting the vendor, monitoring security alerts, patching the portions of the cloud they are responsible for, and ensuring that user authentication is strong and synchronized with existing on-premises credentials-management systems. This leads to situations where the CISO team isn’t involved with vendor selection, third-party security audits, and other activities that normally take place when onboarding a cloud service provider. The shared responsibility security model for any particular cloud service explains the division of labor between the cloud service provider and the customer. For example, says the report, while some cloud service providers offer specific cloud security options such as data masking, it may be the responsibility of the customer to determine if it’s appropriate to apply and manage those controls. Ultimately, it’s the consumer of cloud service’s responsibility to ensure their organization is protected. “Organizations are being compromised because someone signed up for an unsanctioned cloud service, and they falsely believe that the cloud service provider will address of all the security requirements,” says KPMG risk-management consultant and report coauthor Brian Jensen (no relation to Oracle’s Jensen). The number of alerts and incidents coming into a typical enterprise security team is too much to handle—and when alerts of anomalous end-user behavior are included (as they should be), the problem is likely to grow quickly. An enterprise can’t hire its way out of this mess, because it’s not feasible to find, recruit, hire, train, and retain so many security analysts. “The challenge will not be addressed with manpower alone, what is needed is intelligent automation and trained skilled staff to architect a scalable solution that addresses the unique cloud risk use cases,” KPMG’s Jensen says. Another looming risk comes from unpatched systems. When vulnerabilities are found in operating systems, applications, or device firmware (such as in Internet of Things implementations), it can take too long for IT staff, working with the security team, to install and test the required patches or configuration changes. The answer is to let software do the tedious, repetitive grunt-work while human IT and security analysts focus on solving more difficult problems. Patching vulnerable hardware or software is among the most high-impact steps a cybersecurity team can take. Automated patching is used by 43% of organizations, the report finds, with 50% of larger organizations (1,000 or more employees) using it. A further 46% of all organizations plan to implement automated patching over the next 12 to 24 months. The research shows a clear strategic intent to leverage automation for database patching. About one-quarter (24%) of respondents have fully or mostly automated patching their database servers, and another 18% have somewhat automated their database patching. However, what the report details are clear differentiators in the levels of automation that have been used over the years, and what truly impactful forms of automation. How can organizations protect the increasing number of business-critical cloud services? Make sure that employees are trained about various forms of social engineering attacks, such as phishing—and because the hackers keep getting trickier, realize that training isn’t enough. So, it’s important to implement solutions to block phishing and spearphishing emails from reaching employees, and continually monitor systems for signs of out-of-the-ordinary behavior that might signal an email compromise. Organizations also need to enforce policies about the use of third-party cloud services without the full engagement and approval of IT and/or the security teams. Everyone needs to understand the specific shared responsibility security model for each cloud service, and as much as possible, use automation to handle tedious, repetitive tasks such as doing triage on security alerts, and applying patches and fixes to address vulnerabilities. The 2019 threat report offers additional research information, as well as prescriptive ideas for addressing these and other enterprise security challenges as you transition to the business-critical cloud.